Front Row from left to right: Kayla, Elizabeth, Felicia. 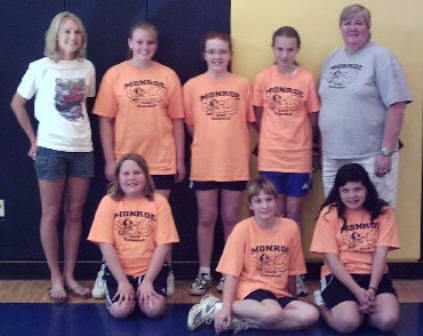 Back Row: Coach Allyssa Tendrup, Kimberly, Madison, Ramey and Coach Teresa Pence. Volleyball Season number are: 6 wins, 4 loses.